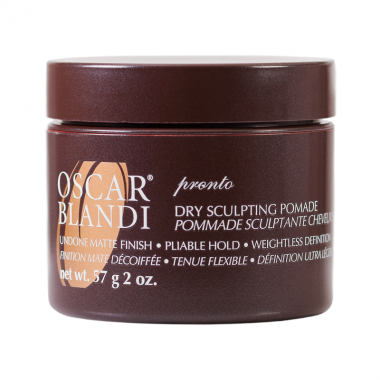 creates that second-day hair effect and offers long lasting, all day control. "Scoop a dab into palms. Rub hands together to warm product. Apply to dry hair with fingertips to twist, sculpt & define." Pomade is not just for guys; Use it for a variety of looks. • Finish and sculpt buns & braids. • Separate and define shorter layers for texture. • Scrunch and tousle for undone waves. This product holds my hair in place pretty well throughout the day. i use this product especially when i have a full day schedule that requires me to meet many different people in different places. i only need to touch up on my makeup and don't have to worry about my hair looking bad.